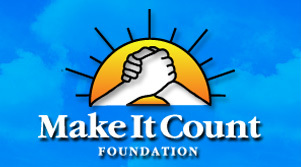 In December 2009, Jon Reese founded the Make It Count Foundation to inspire people everywhere to make the most of their lives. Having been greatly affected by the events of 9/11, Jon devoted the rest of the decade to charitable and philanthropic causes that would impact not only the quality of people’s lives, but also the direction. As a real estate developer, Jon lent his expertise to Habitat for Humanity as a board member and dedicated his time and talents to bettering the education and health of children and youth. With a group of equally committed board members, Jon set out to turn his vision into a reality – where all people would have an opportunity to make every moment of their life count. In recognition of his accomplishments on and off the field, he has been inducted into the West Babylon Alumni, Suffolk County Sports, Wall Street, and Long Island Metropolitan Lacrosse Foundation Hall of Fames. Most recently Jon was honored by Yale with the naming of the lacrosse stadium in his and his brother’s honor. After graduating from Yale with a degree in Psychology, Jon began a career in the highly competitive financial world of Wall Street. He spent the next 12 years at Lehman Brothers and HSBC eventually becoming a Managing Director in their fixed income departments. Jon became one of the most highly respected, honorable members of that industry. Following the events of September 11, 2001, Jon decided to leave Wall Street to spend more time with his family and search for ways to give back to his community and those in need. Jon currently serves on the Board of Directors of the Yale University Lacrosse & Football Associations, The Mory’s Association, local health & wellness associations, & Habitat for Humanity of Suffolk County. He is also a lacrosse coach for West Islip High School and works with local youth mentoring and passing along his passion for doing the right thing. He gives tirelessly of himself to various charitable efforts and organizations. Jon currently resides in West Islip with his wife Barbara and their 3 children. Born in Queens, New York, John graduated from the University of Michigan Business School in 1986 with a BBA. After working for Deloitte, Haskins and Sells as a CPA, he joined his father’s bus business in Bay Shore in 1988. John became president of the company when his father retired in 1995. Today, with a workforce of over 1,500 employees, Suffolk Transportation is the largest bus company in Suffolk County, serving over 25,000 school children and 10,000 public transit passengers each day. Through his affiliation with the New York School Bus Contractor’s association and the Bus Association of New York, John has played an integral part in formulating the safety standards that govern the bus industry today. Over the years his company has received numerous safety awards from groups such as the New York Public Transportation Safety Board, the New York School Bus Contractors, the New York Association for Pupil Transportation and the National School Transportation Association. Locally, John has been supportive of many organizations and charities. He is a member of the SUNY Stony Brook Council. He is Chairman Elect of the executive board of Long Island United Way and chairs a special program for children in need “Success by 6”. He also serves on the boards of NYC COP-SHOT, Suffolk County Workforce Investment Board, and the Suffolk County Parks Foundation. John is affiliated with The Children’s Commission of Islip, the Bay Shore Chamber of Commerce, School to Business Partnerships for East Islip and Islip school districts, and the Suffolk County PAL Youth Lacrosse Program. For his efforts, John has been honored by SCOPE, the Urban League of Long Island, and the AMVETS, the Martin Luther King Foundation, the Bay Shore Chamber of Commerce, East Islip “For the Kids” Foundation, Hauppauge School Foundation, Long Island United Way CEO MVP Award and many other agencies. John and his wife, Jacqueline, have three children and currently reside in Bay Shore, New York. Currently, Tom serves as the East Region Market Head for Schaller Anderson, a division of Aetna. He has P&L responsibility for Medicaid Health Plans in Connecticut, Delaware, Pennsylvania and Florida and he is also responsible for new business development in the region. Schaller Anderson is a nationally recognized leader in the health care industry with responsibility for over $3.5 billion in health care spending. Prior to joining Schaller Anderson, Tom served as the President and CEO of Vytra Health Plans. In a thirteen-year career at Vytra, Tom played a leadership role in growing the plan from annual revenues of $70 million in 1993 to over $375 million in 2005. As CEO he led efforts that returned the plan to consistent profitability while gaining NCQA (National Committee on Quality Assurance) and URAC (Utilization Review Accreditation Committee) accreditation and developing a national reputation for best in class customer service. In 2001 Vytra was acquired by HIP Health Plans and Tom assumed the additional responsibilities of Executive Vice-President for Brand Leadership as well as joining the Executive Committee of the enterprise. In this role he was responsible for Marketing, Sales, and Promotion with a staff of 450 and an annual budget of over $75 million. Before joining Vytra, Tom served as the Chief Deputy County Executive in Suffolk County New York and prior to that as the Director of Human Resources for the Metropolitan Transportation Authority. Tom has served on many not for profit boards including the Long Island Chapter of the Nature Conservancy, the Long Island Association, the Long Island Philharmonic, Friends of Karen, the Hofstra University Honors College, the Suffolk Community College Foundation and Partners Advancing West Islip Students. He is also the Past Chair of the Long Island Coalition of Fair Broadcasting. Tom has received numerous awards for his commitment to public service including; the 25th annual Harry Chapin Humanitarian Award, the Long Island Association’s Medal of Honor, Dowling College’s Distinguished Citizen Award, the Long Island Arthritis Foundation’s Life Enrichment Award and the Suffolk Community College President’s medal. He was inducted into the Long Island Softball Hall of Fame in 1992 and the Suffolk County Sports Hall of Fame in 2001. Tom currently serves on the Dowling Board of Trustees and serves as the Chair of the Academic Affairs Committee. Tom earned his BA and MBA from Hofstra University and also completed a post-graduate program at Columbia University, Managing the Enterprise. In 2000, he was awarded an honorary doctorate of Commercial Sciences from Dowling College. Tom resides in West Islip with his wife, Barbara and two daughters, Caitlin and Megan.